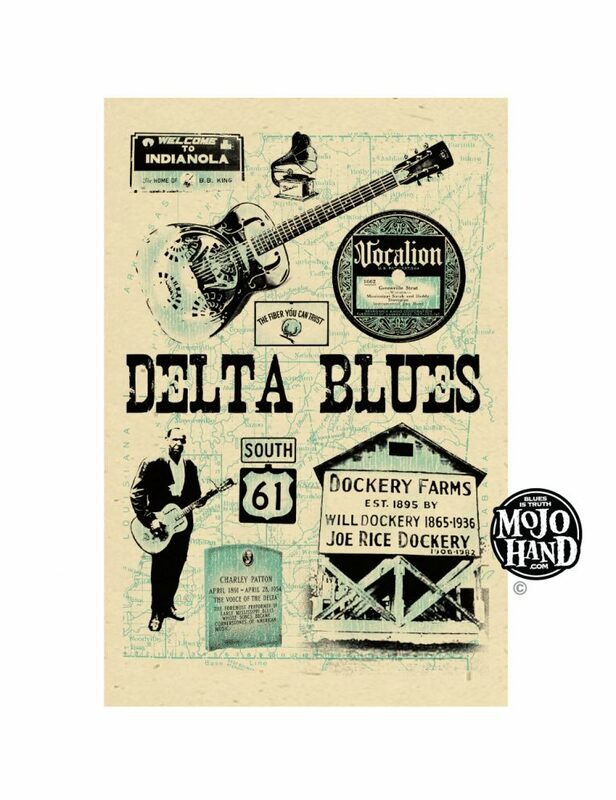 this classic Delta Blues Poster is 12 inches by 18 inches. Digitally printed on speckletone cardstock, hand signed by the artist, Grego Anderson. Ships Worldwide.